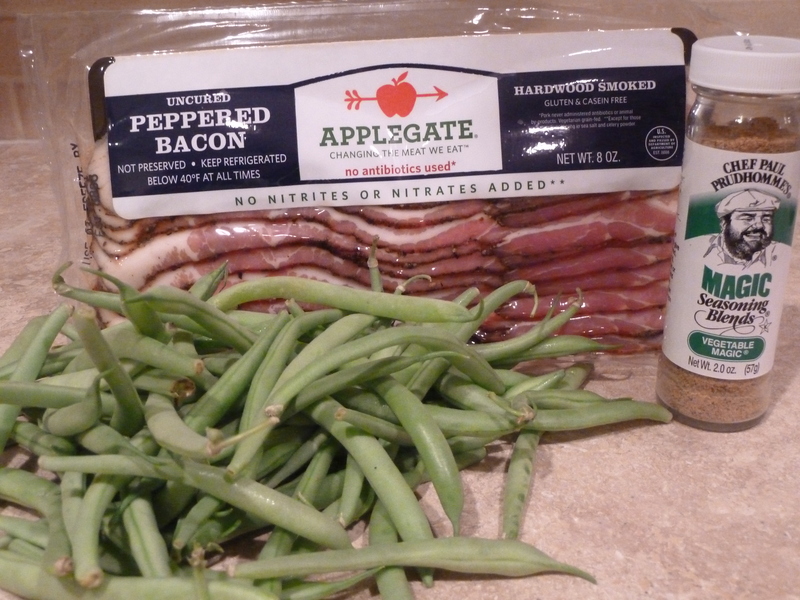 pepper bacon green beens and valentine’s day shout out! | Is there any wine left? 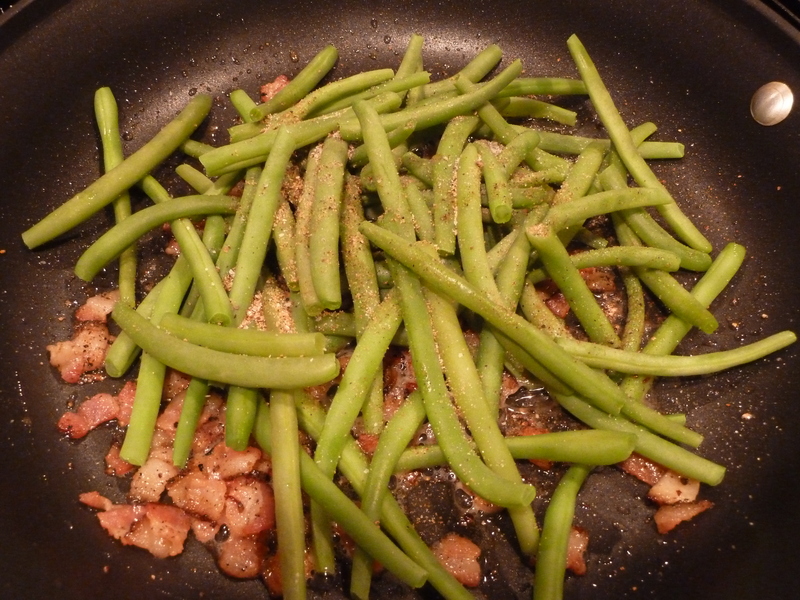 pepper bacon green beens and valentine’s day shout out! This post is dedicated to Whitney – my fabulous husband! He is the sous chef behind the scenes that has made keeping this blog possible. He takes pictures when both of my hands are dirty, he keeps things from burning when I am distracted, and he provides endless encouragement to me. In honor of Whitney, I am going to make his favorite green beans. This is my mother-in-law’s recipe and it is really fabulous! 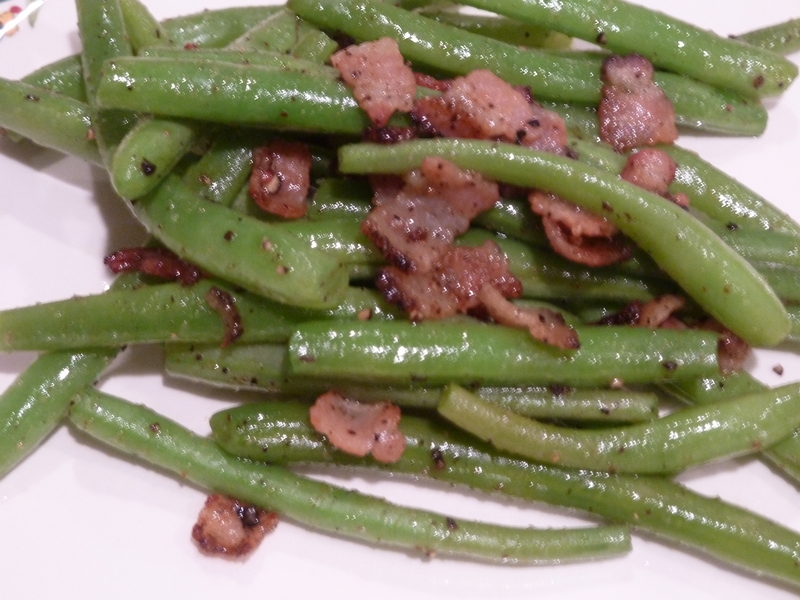 Green beans are already my favorite vegetable… but pair them with bacon and I am toast. There is nothing I have encountered in my life that has bacon in it that I don’t like. Snap the ends off of the green beans and put them in a bowl. Fill the bowl with water until it barely covers the green beans. Cover with saran wrap but leave a small bit unsealed to let steam escape. Microwave the green beans for 4-5 minutes. This will cook them as if you are blanching them, letting them remain slightly crunchy. 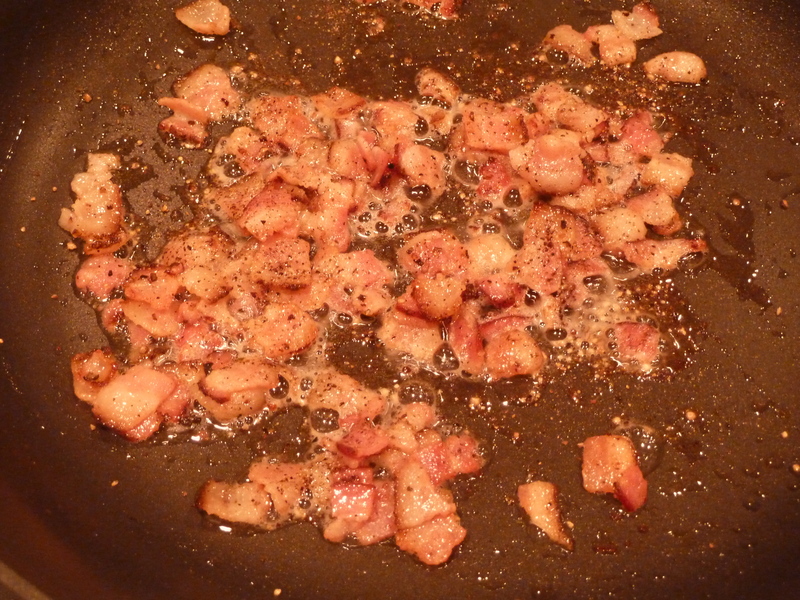 Cut the bacon into small pieces and cook in a saute pan for 3-4 minutes. After the bacon browns, but before it becomes crispy, add the green beans and seasonings. Turn the heat up. Using a pair of tongs, toss the green beans and cook for a minute or two more. Serve immediately. Snap the ends off of the green beans and put them in a bowl. Fill the bowl with water until it barely covers the green beans. Cover with saran wrap but leave a small bit unsealed to let steam escape. 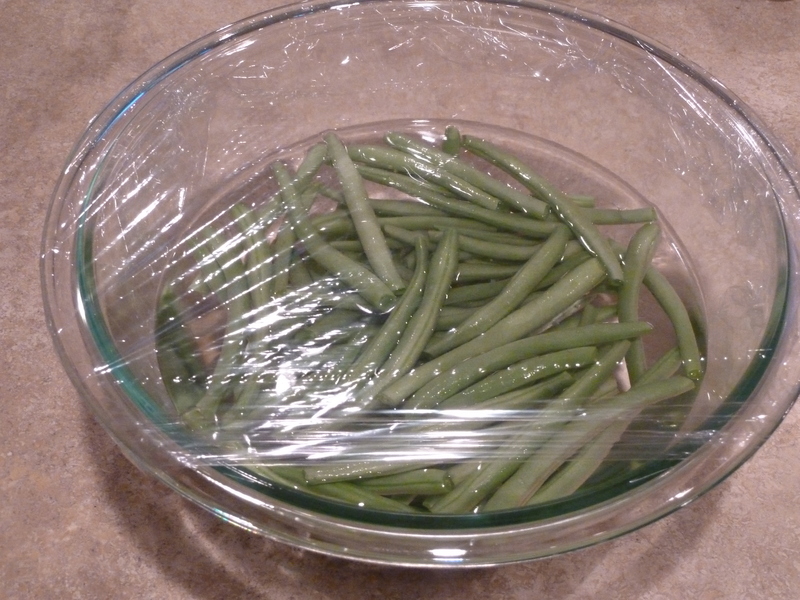 Microwave the green beans for 4-5 minutes. This will cook them as if you are blanching them, letting them remain slightly crunchy. Cut the bacon into small pieces and cook in a saute pan for 3-4 minutes. After the bacon browns, but before it becomes crispy, add the green beans and seasonings. Turn the heat up. Using a pair of tongs, toss the green beans and cook for a minute or two more. Serve immediately. These were awesome! I substituted Tony Chachere’s since I did not have Prudhomme’s and they tasted great. green beans with kalamata vinaigrette « Is there any wine left?